Authoritative text, crystal-clear photography, and a systematic approach make DK's Smithsonian Handbook of Shells the most comprehensive and concise pocket guide to seashells of the world. Packed with more than 600 full-color photographs of over 500 species of seashells, this handy reference book is designed to cut through the complex process of identification and make it accessible to the average reader. Expertly written and thoroughly vetted, each species entry combines a precise description with annotated photographs to highlight each shell's characteristics and distinguishing features. The entry always includes a distribution map, showing the geographical range of the species, as well as color-coded bands to provide at-a-glance key facts. 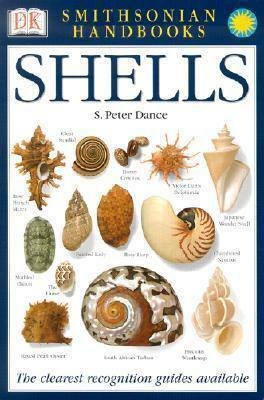 Written by leading shell expert, author, and museum veteran S. Peter Dance, and packed with detailed information on the shape of each genus, differences between the major classes, and more, DK's Smithsonian Handbook of Shells is the clearest identification guide to seashells for beginners and established enthusiasts alike.